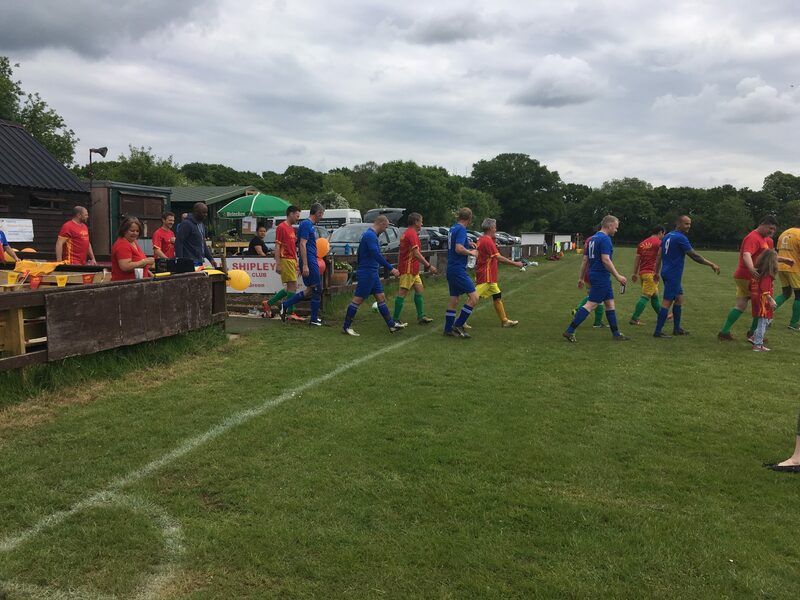 Over £1200 raised at football match! 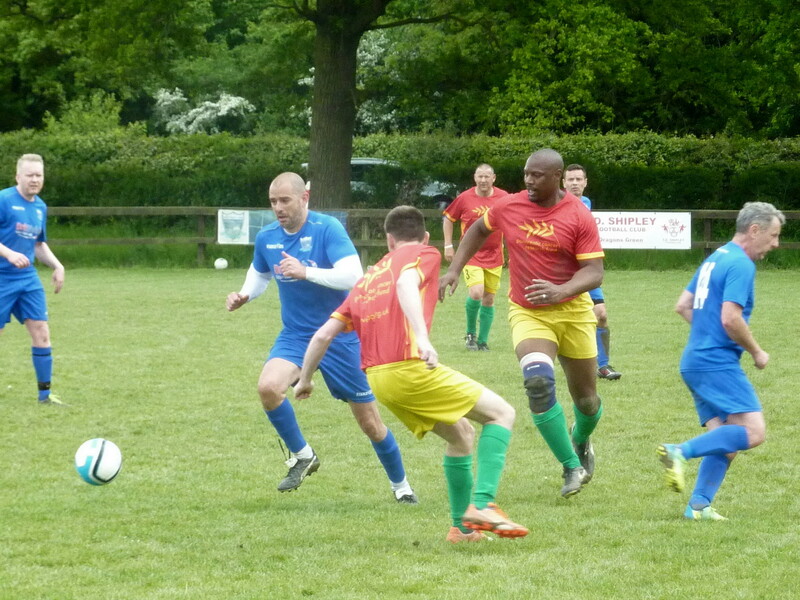 Congratulations and thanks to everyone who took part on the charity event on Sunday 13 May, at Shipley football ground. 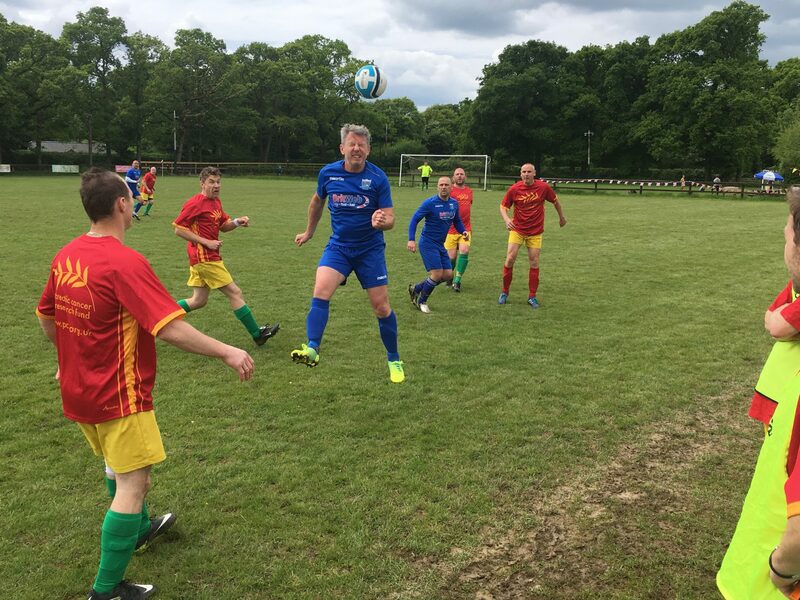 The football match, which many of our vets and walking footballers taking part, kicked off at 12:00 noon. 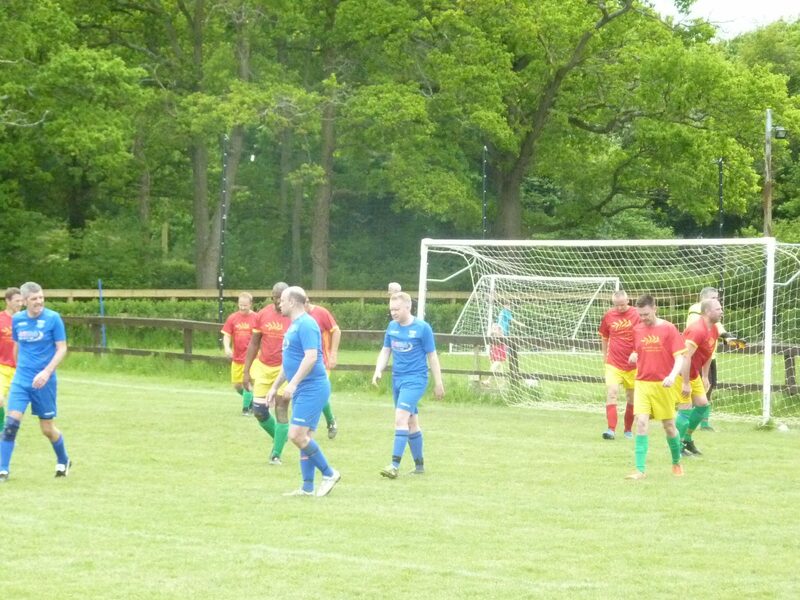 It was an entertaining match, with Trevor managing the "Trev's Vets" team, playing against Murph's "Hills Farm Select"! 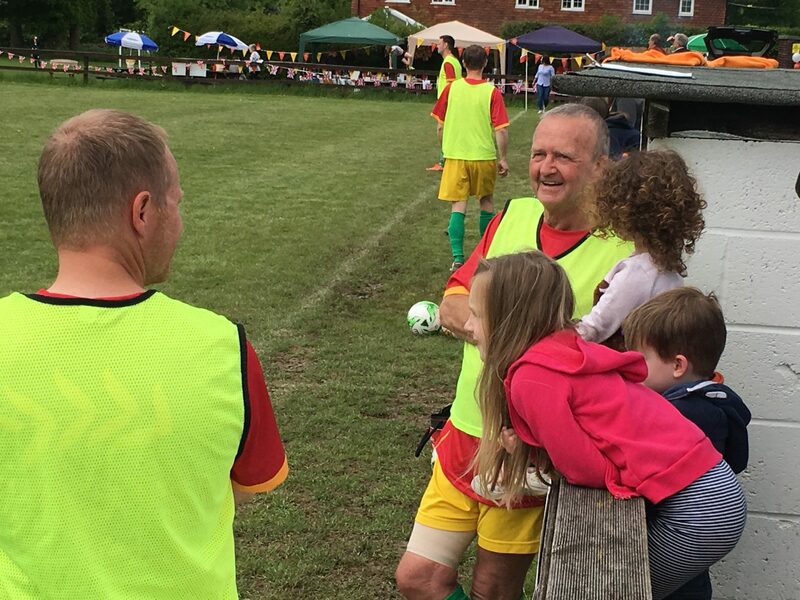 Trev's Vets were victorious with a 5-3 victory. 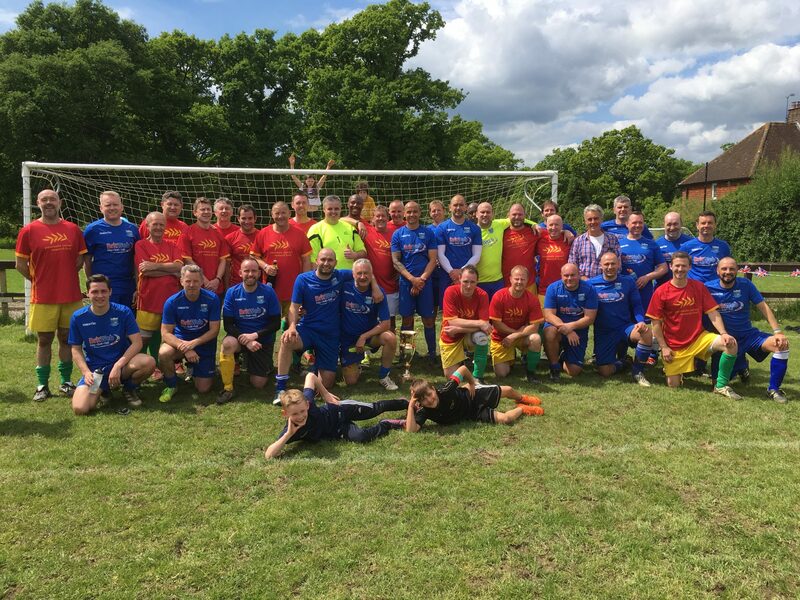 Thanks to all the HFL vets, the walkign footballers and the invited guests who took part. After the match the new BBQ, built by Gary and his team of helpers, came into its own, with burgers and sausages being churned out at great pace by Phil, Russell and Richard. 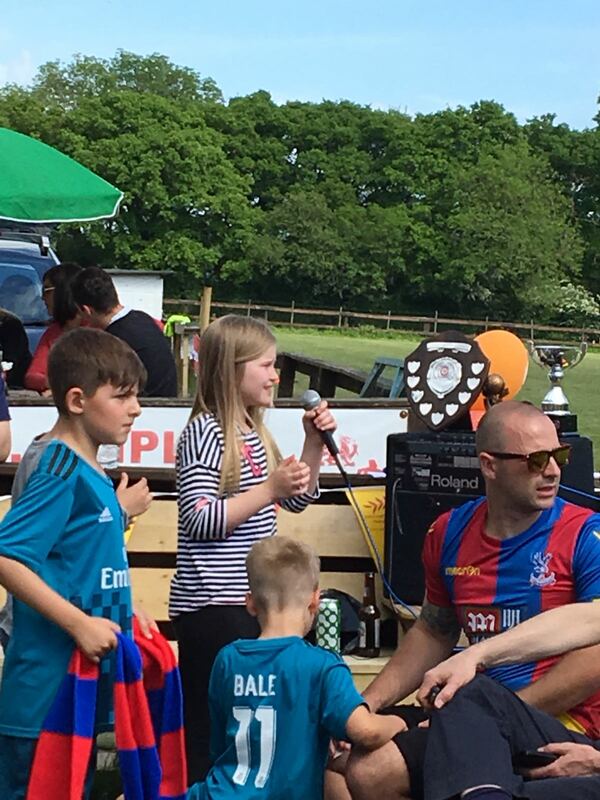 The bottle tombola went down well, along with a lot of fantastic raffle prizes (thanks to everyone who donated a prize), and Darren's Football Club "Pick the winner" also raised a healthy sum, with £25 going to the winner..who chose Bolton Wanderers! 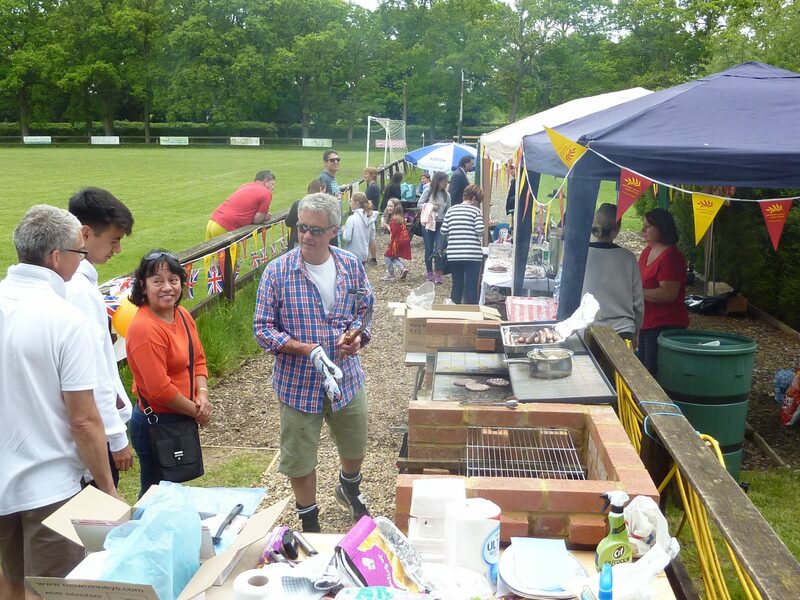 Drinks and cakes were popular and the weather couldn't have been better - dry, not too hot for the football, and sunny after the match. 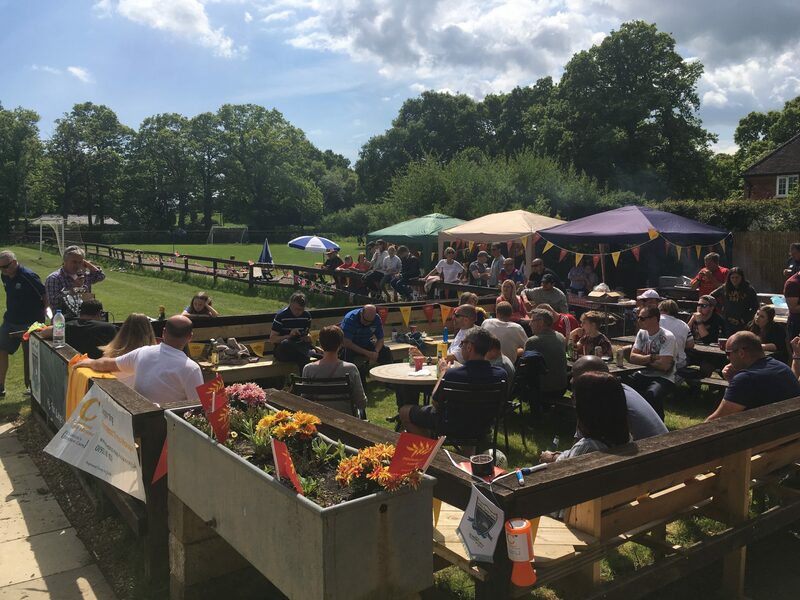 We raised a whopping £1,225 at the final count, and every penny has been evenly split between PANCREATIC CANCER RESEARCH FUND and the CHESTNUT TREE HOUSE CHILDREN'S HOSPICE. 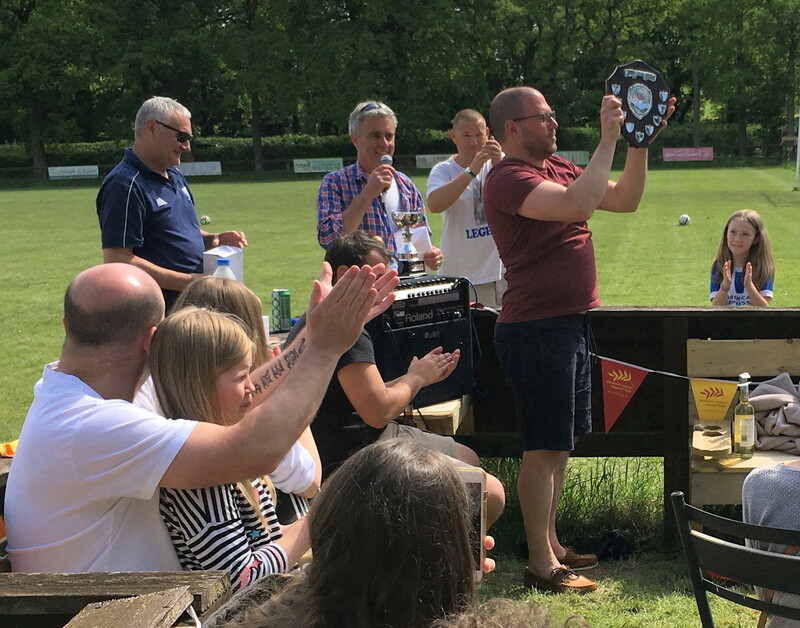 Phil said a few words about the Project and everyone's part in it, and then Murph and Trev took the opportunity to give out the league winners medals and the individual trophies. 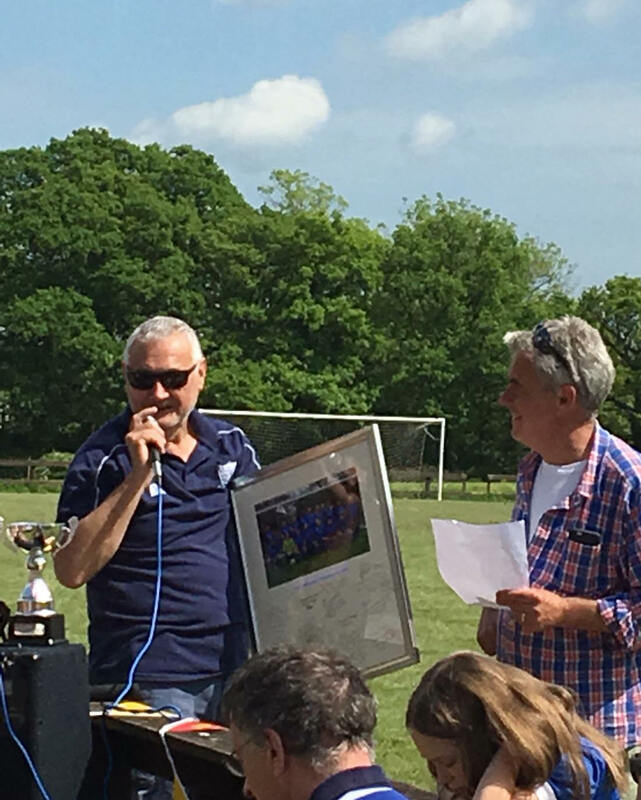 He was also surprised by a fantastic gift of a signed, framed photo from the vets, to say thanks for his efforts with the league organisation. An emotional moment for everyone!! 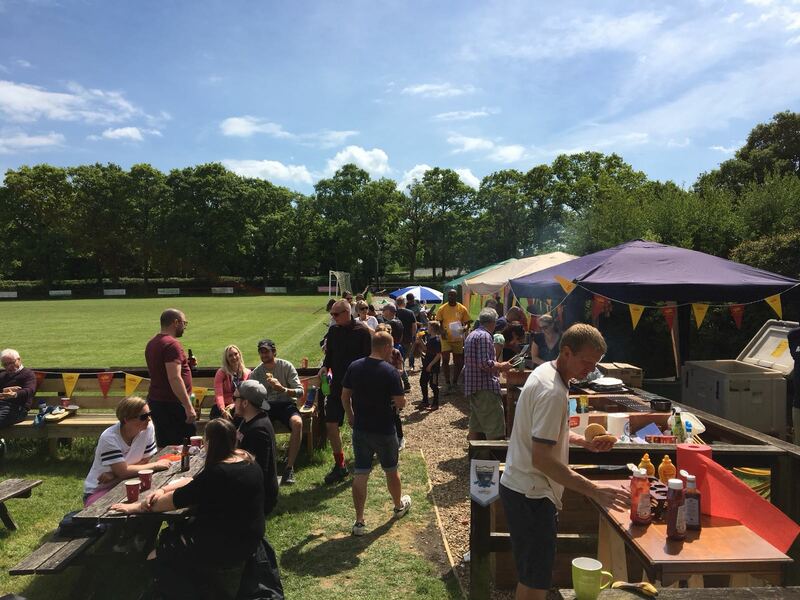 We really appreciate everyone's help, donations and support, but special mention has to go to Louise, Trevor, Richard and Helen for organising and getting everything sorted, plus every one who helped on the day to make it such a success. We got a good write up in the County Times, and we will do it all again next year ! !